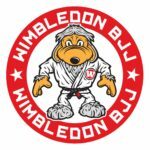 Whatever your health and fitness goals are this year, you can achieve them at Wimbledon BJJ! Make positive changes in your life with a team dedicated to help realise your goals, taking you to the next level, with classes in martial arts and personal training, tailor made to the individual! Martial Arts – the instructor has twenty five years experience in the martial arts sector. Principal coach for Aim Higher, a Government initiative to widen participation in higher education in England through activities that raise the aspirations of young people. All of the above under one roof at Wimbledon BJJ!